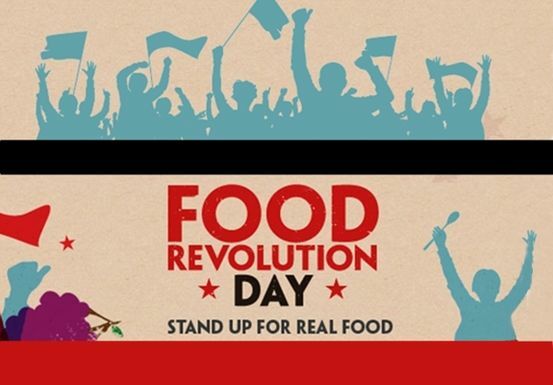 Food Revolution Day is a global day of action to keep cooking skills alive. It’s about celebrating the importance of cooking good food from scratch and raising awareness of how it impacts our health and happiness – we believe that everyone should know about food and it starts with getting kids food smart, making cooking fun and inspiring a love of food that will last a lifetime. Food Revolution Day is a campaign by the Jamie Oliver Food Foundation in the UK and USA, and The Good Foundation in Australia. To date, 74 countries have taken part and over 900 ambassadors are championing our cause worldwide. Many activities are organised by supporters in their local area or voluntary Food Revolution ambassadors who champion food knowledge and cooking skills in their communities. To get involved, you can either organise your own activity, get in touch with your nearest ambassador to see what they’re doing, or apply to become an ambassador here. An interesting way to remind us that we all should know about food and that cooking is fun and inspiring. 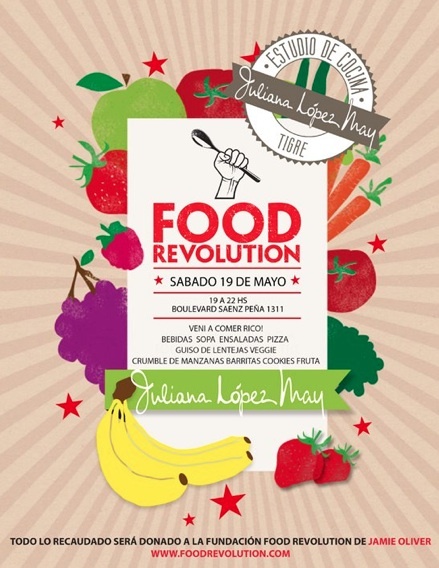 Food Revolution Day on 19 May is a chance for people who love food to come together to share information, talents and resources; to pass on their knowledge and highlight the world’s food issues. All around the globe, people will work together to make a difference. Food Revolution Day is about connecting with your community through events at schools, restaurants, local businesses, dinner parties and farmers’ markets. We want to inspire change in people’s food habits and to promote the mission for better food and education for everyone. In Buenos Aires, Juliana López May invites to her cooking studio “Estudio de Cocina JLM” (Boulevard Saenz Peña 1311, Tigre) to come together to share information and to enjoy a healthy meal. Saturday, May 19th, from 7 to 10pm.